Game of Thrones. Live Event. April 14. The long-awaited megahit Game of Thrones is coming back for its eighth and final season and Must has a special treat. Experience the start of the season in real time with other fans! Who will return in the final season? Amplify the adventure by chatting with other fans and experiencing the action together. The eighth season of Game of Thrones premieres April 14 at 9 p.m. Eastern Standard Time on HBO. If you are new to Must, things may get a little overwhelming at first, especially with so many beautiful movie posters around. To make it super easy to figure out, we’ve designed a quick Get Started guide. To be clear, the Get Started guide is only going to be visible to those just joining the community and existing members who joined but did not build up their profile yet. 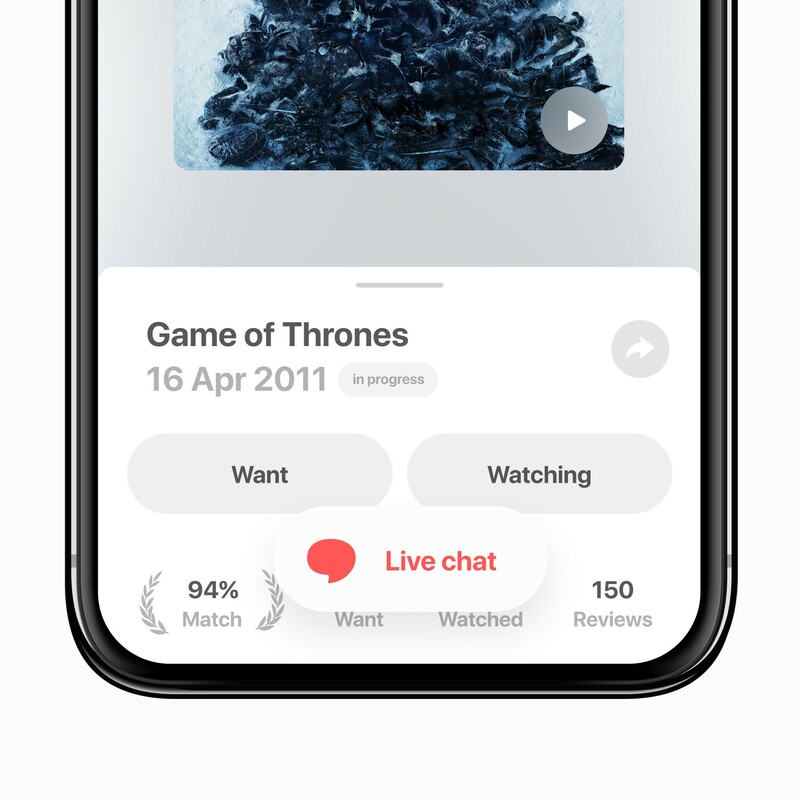 In order to take full advantage of the app, you need to tell Must what movies and series you’ve watched or want to watch. The app then does its magic and builds a custom-tailored experience just for you, providing recommendations of content it knows you’ll enjoy. The more movies and shows you rate, the more it knows what to recommend and what to skip. 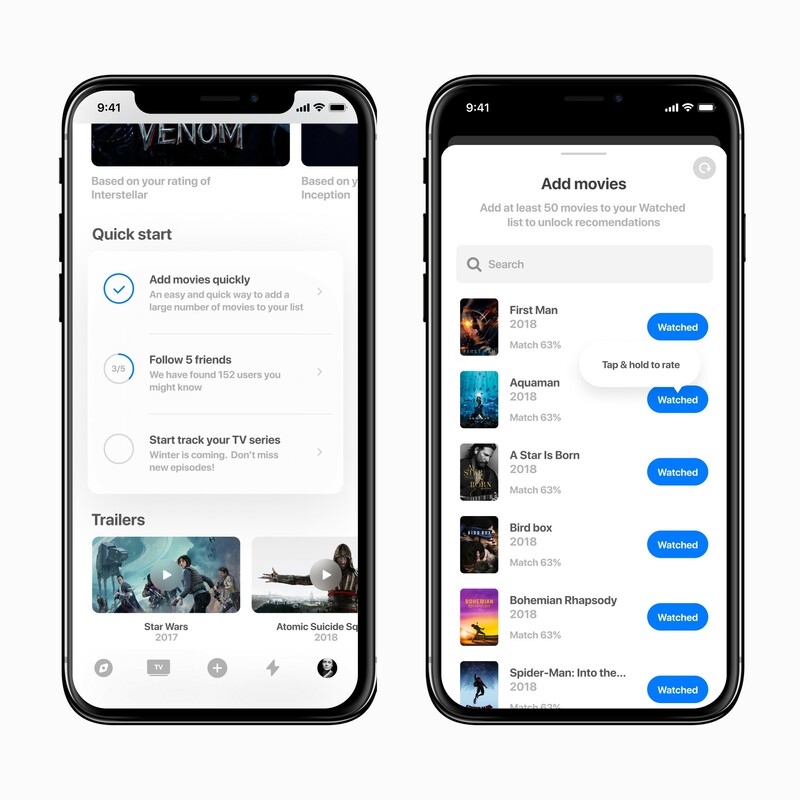 The Get Started guide will help you do just that: showcase app’s core functionality, follow your friends and personalize your movie experience. We hope that you’ll enjoy this light beginner’s challenge and learn Must in the process, making it more social and fun to use. We’ve added the ability to see what genre a particular movie or series is, when viewing its information page. Displayed just below the overview, if a genre is clicked on, a new card will open, listing other popular titles in the same category. Sharing is caring! 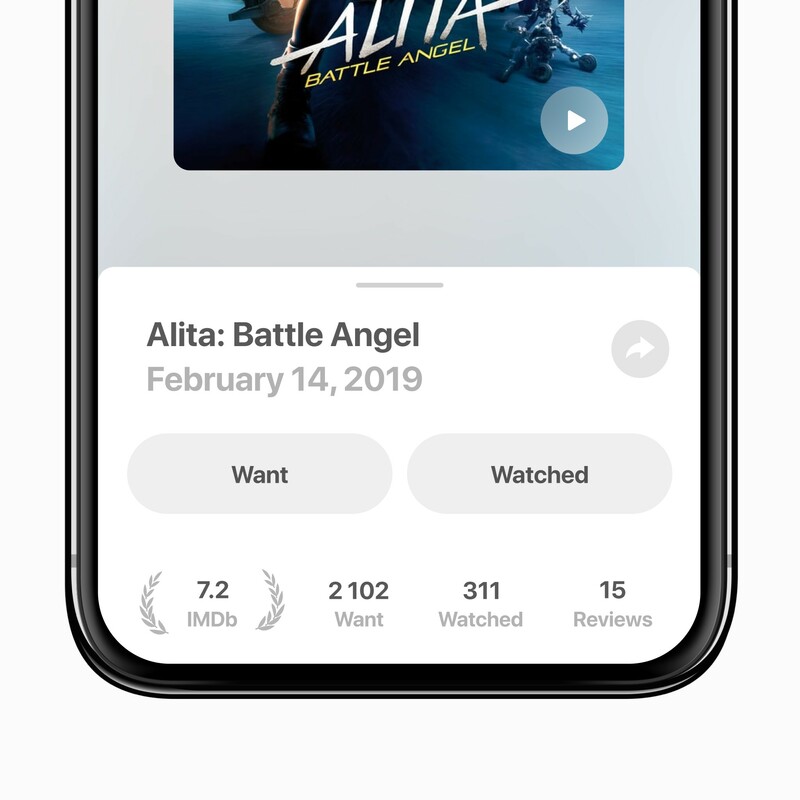 With the latest app update we made it easy and intuitive to share a movie, a series or a collection with anyone. The grey colored “Share” button, which looks like an arrow, is now conveniently located at the top of the screen, next to the title of a movie/series or a collection. No longer do you need to text, screenshot or spell a movie to a friend. Send them straight to it with a single click. 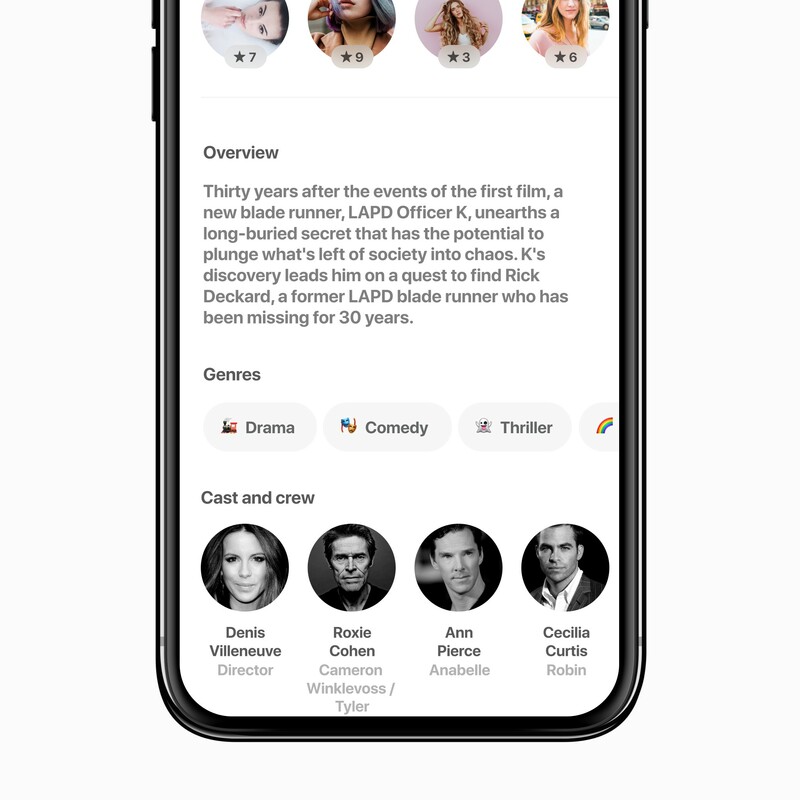 For example, Oscars 2019 Nominees — https://mustapp.com/c/57. Many of you have asked us to bring the ability to transfer your collection of films and shows from IMDb, Letterboxd and Kinopoisk. If you maintained a list with any of these services, you can now import your library to Must. If you are a new user of Must, you’ll see the link to instructions directly on your profile page. If you are an existing member with an active collection, you’ll find the link under personal Settings. Keep in mind that your ratings will also be saved in the process. We can’t wait to see your updated collections on Must. Happy migrating! Compare your movie taste with your friend or anyone else through this brand new feature! 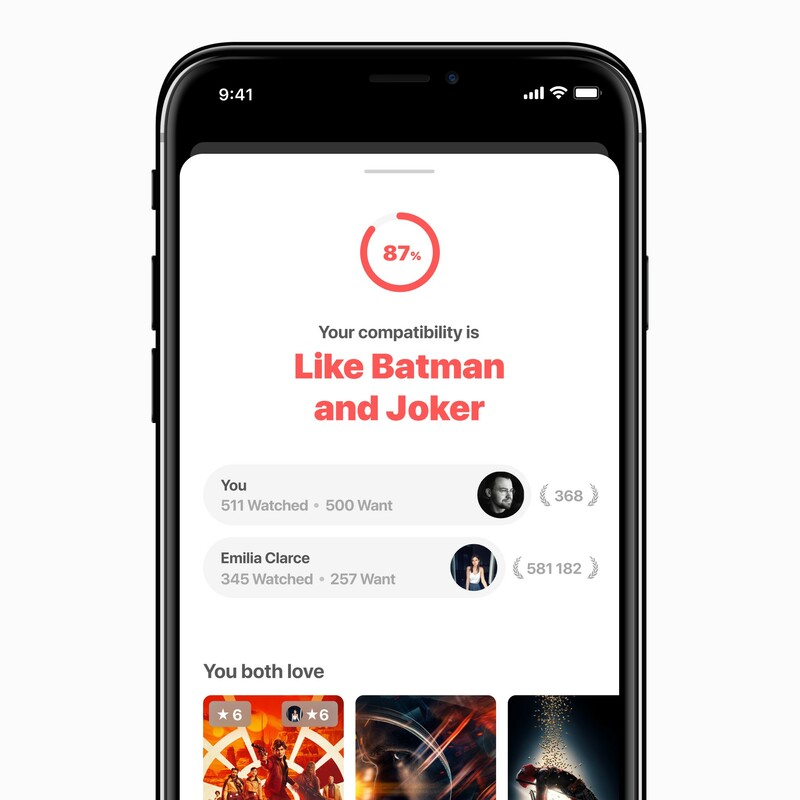 As long as you and the other member have watched and rated at least 25 movies, there is a super fun way to discover your compatibility. Visit a profile page of your friend or someone you are interested in, hit the "Compare" button displayed below and voila ⏤ find out whether you match like Bonnie and Clyde or like Punisher and Ace Ventura! Results are based on things you share, including movies you both watched and loved, as well as those you both want to see. You&apos;ll also find a few suggestions of films that you can watch together, based on shared high Must Score. Oh the excitement! It’s about time Must has become a lot more social. Tell the world about yourself and what you are into through a brief profile bio. Whether you are a blogger, a filmmaker, a foodie, a photographer, a dancer, a philanthropist, an actor, a gamer, a student, a business owner or a professional ⏤ find like minded people to follow who also share the love for watching movies and series. 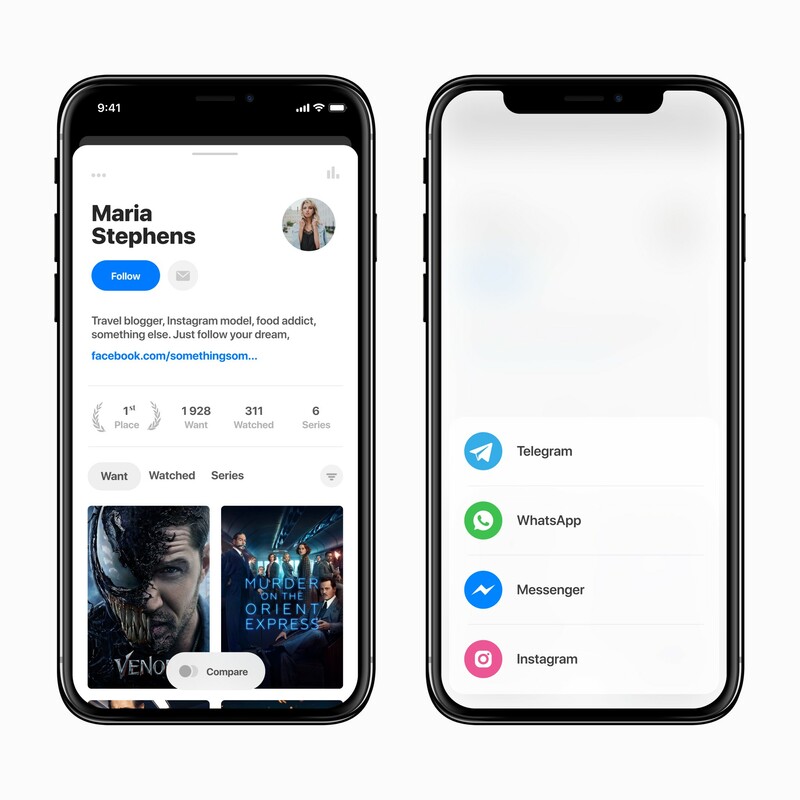 To make things even more exciting, we also give you the ability to contact a Must user directly through a social messenger of choice, if a user adds that option. We start with the support of the following messaging platforms: Instagram, WhatsApp, Facebook and Telegram. Visit your profile settings (top left corner of your profile page), introduce yourself to the world and add a contact method of your choice. We are happy to deliver on a feature that many of you have been asking us for for a while. But it doesn’t stop here. Stay engaged, continue enjoying great shows and movies as bigger and badder features are on the way!